We are among the foremost organizations, highly engaged in offering the best quality range of Pin Bush Couple. 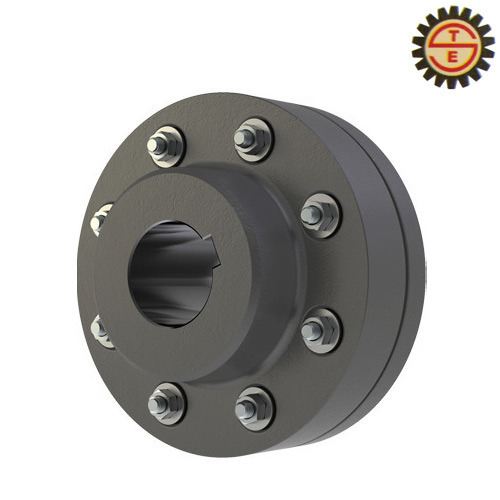 The provided couple is capable of transmitting high torque at high speed. This couple is precisely manufactured by our skilled professionals using the best quality raw material and high-end technology. Offered couple is highly appreciated by our esteemed clients for its no lubrication requirement and corrosion resistant. Furthermore, our esteemed clients can avail this couple from us at most affordable price. Incepted in the year 2004, in Ahmedabad (Gujarat, India), we, “Surya Textile Engineering”, are engaged in manufacturing, trading and supply of Industrial Coupling, Material Handling Equipment, Industrial Sprocket and Industrial Gear , Gear Motors, Speed Reducers, Hand Pumps etc. The offered products are manufactured using high quality raw material and advanced technology in synchronization with the set industry standards. Owing to their remarkable features like durability, best quality, dimensionally accurate, high strength, anti corrosive, light weight and easy to install, these products are highly demanded in the market. Keeping in mind the varied requirements of our clients, these products are available in different specifications. In order to provide best quality to clients, these products are thoroughly checked on various quality parameters by our quality experts.